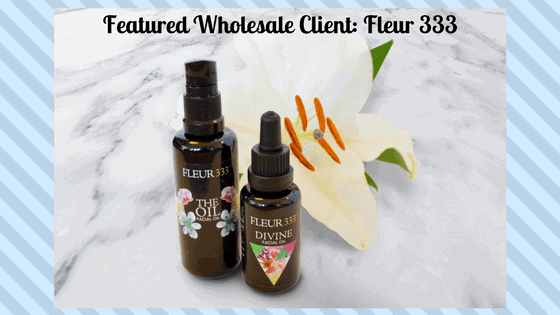 Our Featured Wholesaler for May is a high vibrational skincare and beauty line called Fleur 333, founded by Melissa Scanlon. Based in Los Angeles, Melissa uses Artisan Aromatics essential oils to create high quality facial oils and skin toners. We caught up with Melissa and are pleased to share with you what we learned about Fleur 333! What’s your mission with Fleur 333? My mission with Fleur 333 is to inspire people to love themselves more and boldly embody the essence of who they are – that to me is high vibe beauty. I design each of the Fleur 333 products to serve as a daily reminder to love oneself since love is the highest vibration of all. What inspired your skincare line? Fleur 333 is energetic skincare that raises your vibration and heals your skin from the inside out. As a teenager and young woman in my early 20s, I suffered from acne and wasn’t yet aware that the cleansers I was using were far too harsh and disrupting the natural balance of my skin. I sought alternatives and was amazed how my skin transformed when I started using only oils on my skin. Healthy skin is our birthright and I want everyone to feel confident and love the skin they are in. Now entering my mid 30s, I am more passionate than ever about self-love, healthy aging and supporting the health of my skin and entire Being. It is all connected. I believe in a holistic approach to beauty and Fleur 333 embodies this. It is so hard for me to choose a favorite! My “favorite” essential oils are always changing according to what my body/mind/spirit needs in the moment/month/season to thrive and I do my best to follow my intuition. A few that I consistently use are rose otto, lavender, neroli, frankincense, vetiver, blue chamomile, immortelle, geranium, lemon, grapefruit, peppermint, rosewood, ylang ylang, carrot seed and rosemary. So that is definitely more than a few! And I could honestly go on. If I HAD to choose a favorite, it would be rose otto. I believe that Rose otto has one of the highest frequencies of measured oils and raises the vibration of every cell in your body. In my experience, it has a cooling effect on my skin and soothes redness and irritation. Lately I have also been LOVING lemon for its aroma and mood brightening effect. I find it cleansing, purifying, so refreshing, and it increases my focus and concentration. What’s important to you in selecting a source of essential oils? 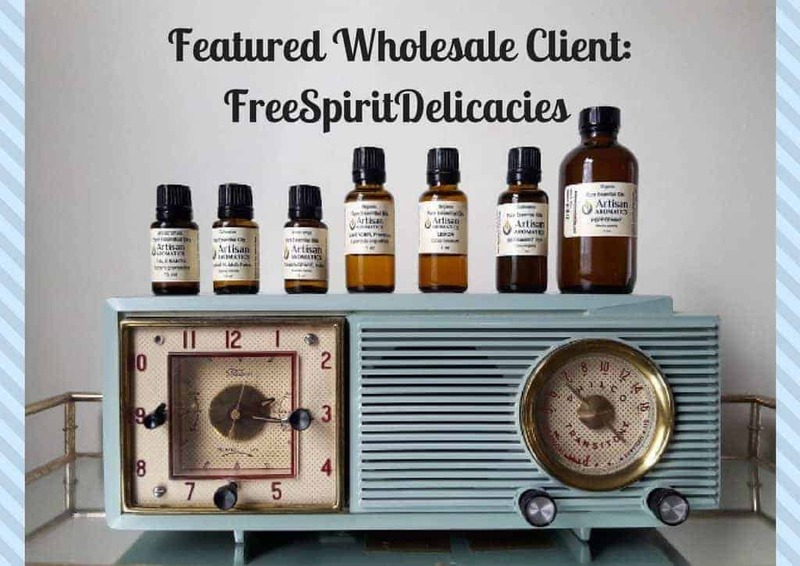 When selecting a source of essential oils it is important to me to have a good relationship with the people running the business, which is one of the reasons I love Artisan Aromatics. 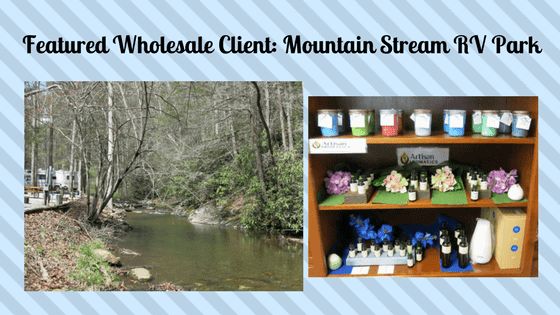 Before signing up for our wholesale account, Sue took the time to answer all of my questions (and there were A LOT) and it was truly a joy to connect with her. The energy each essential oil carries begins with the soil and growing conditions of the plant the oil is extracted from and is influenced by all of the hands that touch it along the way. In the essential oils themselves, I always look for pure and unadulterated oils and choose wildcrafted and organic whenever possible. I always test each batch of essential oils by smell and on my skin before adding to any of my products. High quality oils have a pure vibration that I sense immediately and I believe that once experienced the difference can be felt by every cell in your body. We’re honored that Fleur 333 uses our therapeutic quality essential oils for this high vibe skincare line! These are exactly the kind of creative aromatherapy products we love to see from our Wholesale clients. Are you interested in creating your own product line using the finest essential therapeutic oils in the world? 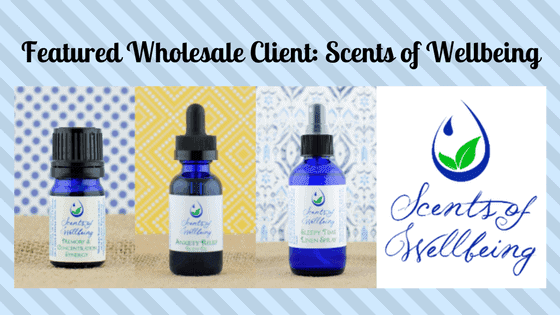 We hope this inspires you to set up a Wholesale account with us so you can source your oils at the highest quality and best cost. Click here to learn more about our Wholesale discounts. I’m a big fan of Fleur 333’s philosophy and products. I’m so happy to hear that they source their oils from Artisan Aromatics. To create wonderful products, you have to start with the best ingredients!